Forge & Co located on Shoreditch High St offers a unique new social workspace for interested takers. Across four floors, Forge & Co lends it’s offices, hot desks, meeting rooms and event spaces to growing businesses without the burden of overheads. 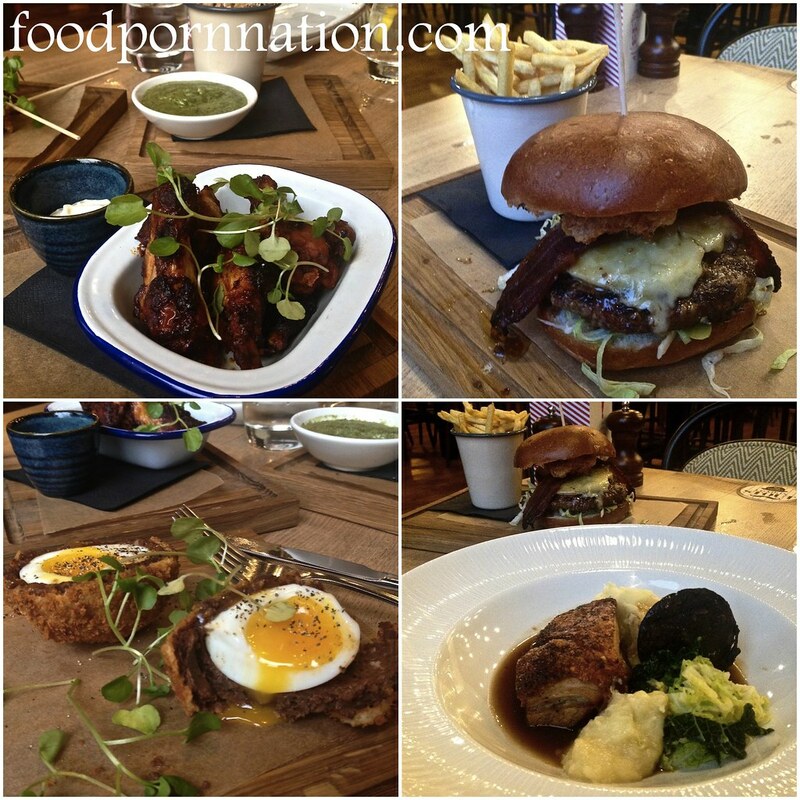 While on the ground floor their Canteen serves a contemporary menu from their British brasserie. Set in a 1950’s Modernist building, their reasonably priced menu focuses on seasonal modern British cuisine that is locally sourced. 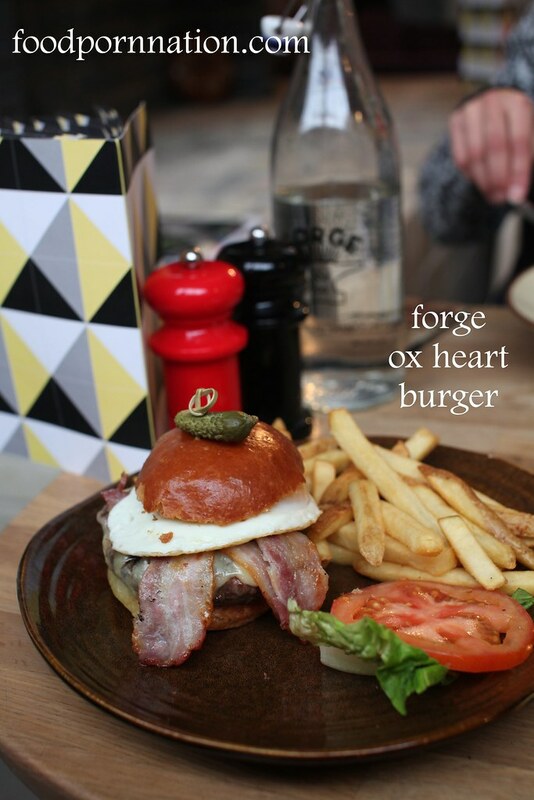 They dish up a varied menu across breakfast, brunch, lunch and dinner menu. There is also a friendly nod to the traditional English Sunday roast offering a selection of roast meats with all the trimmings. 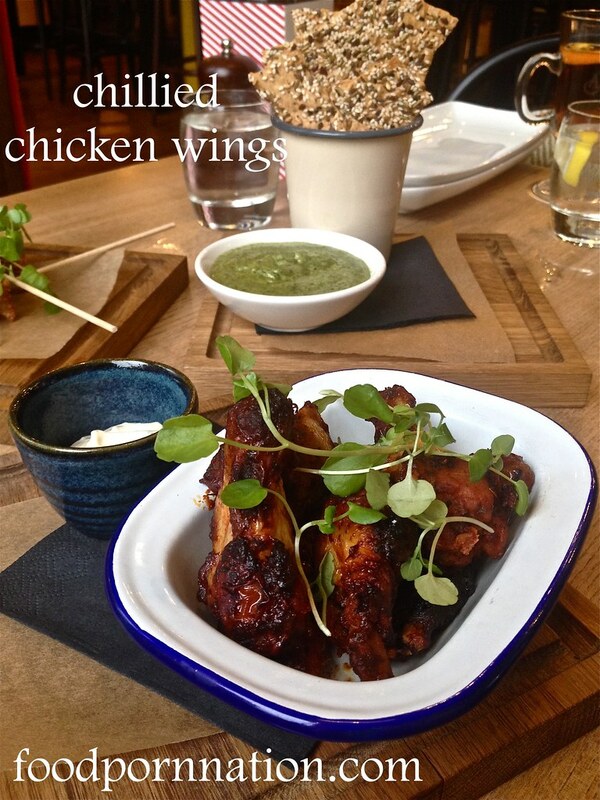 They also offer a great selection of share platters and drinks that include bespoke East London cocktails (of course! ), a friendly and affordable wine list, and brewery-fresh local craft beers to cater to the after work drinks crowd. 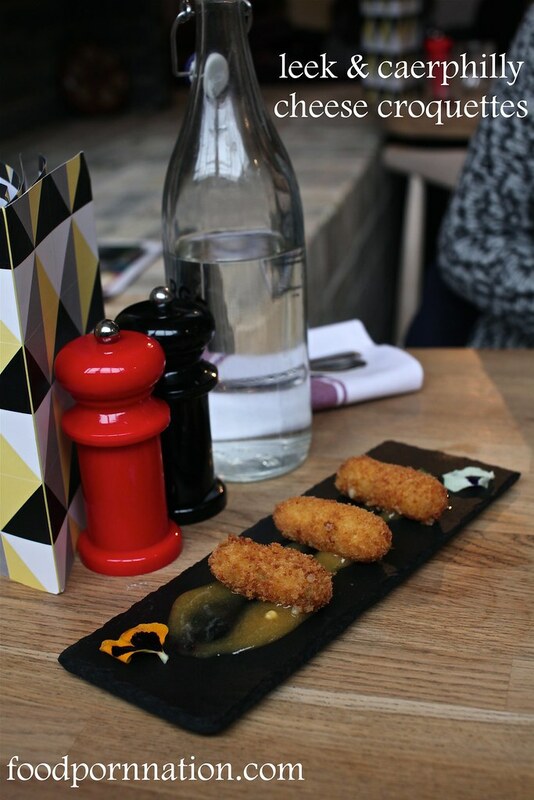 Leek & Caerphilly cheese croquettes (£5.00) melted in the mouth. 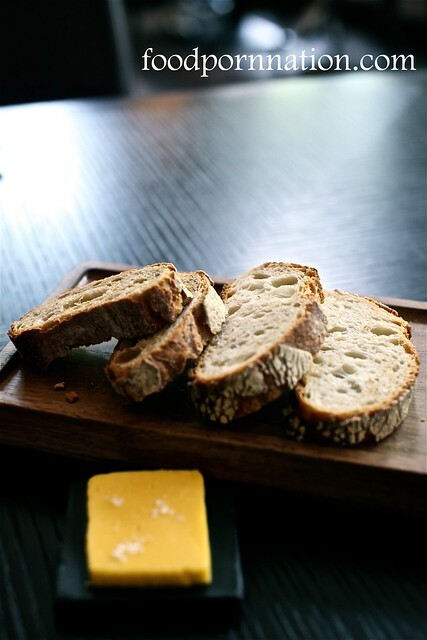 Beautifully crumbled, they were soft, creamy and cheesy. The mango and peach puree added a lovely sweetness, cutting through the fattiness of the croquettes. 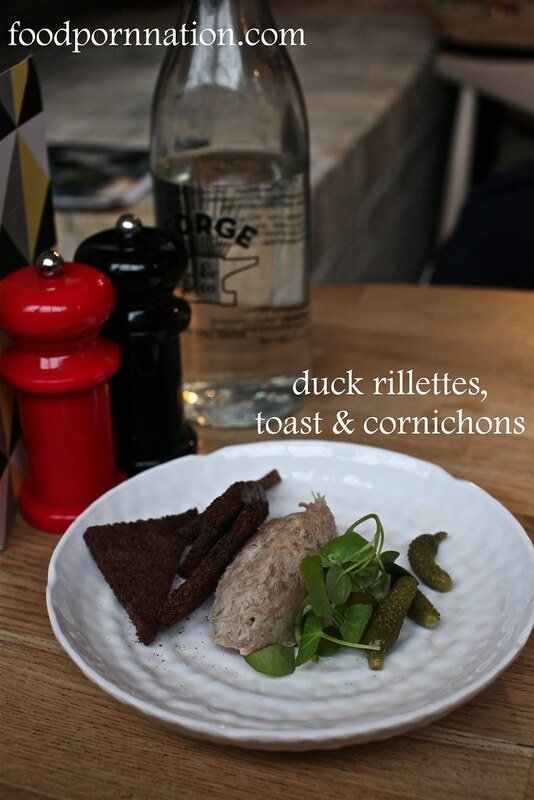 The duck rillettes, toast & cornichons (£7.50) arrived filled with large doses of shredded duck. 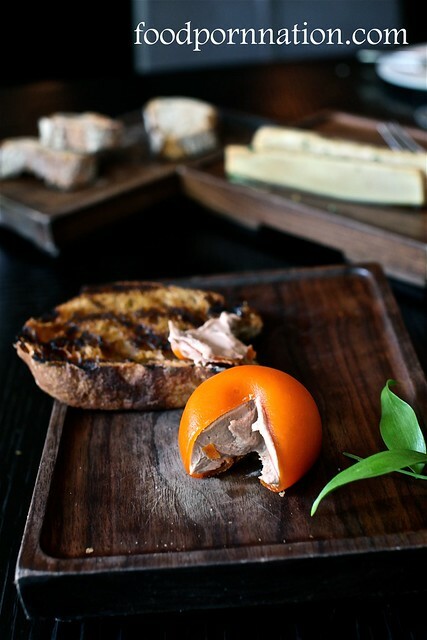 This was richly flavoured and textured with duck pieces however this was let down with the bread being slightly stale. 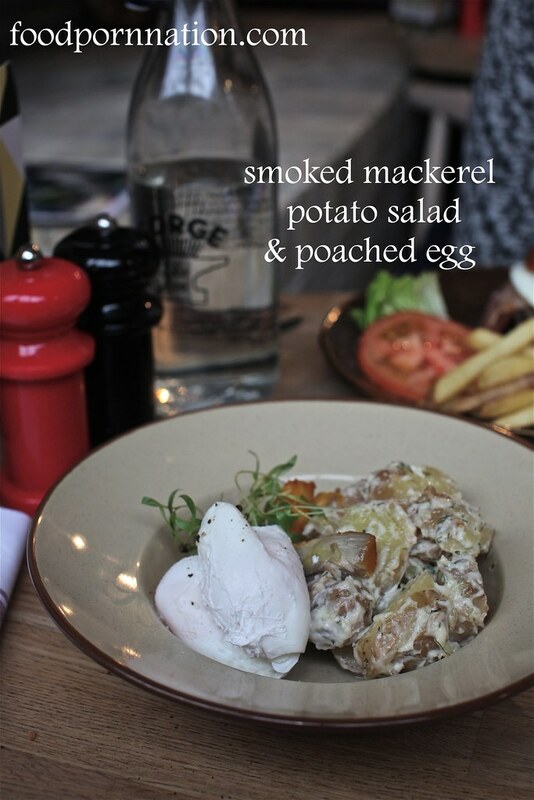 The smoked mackerel, potato salad & poached egg (£7.50) was overall a beautifully flavoured dish. The smoked mackerel enhanced the overall flavour of the potato salad, adding that extra depth of smokey flavour to each bite. With the addition of fresh herbs this gave the dish a lovely lift. 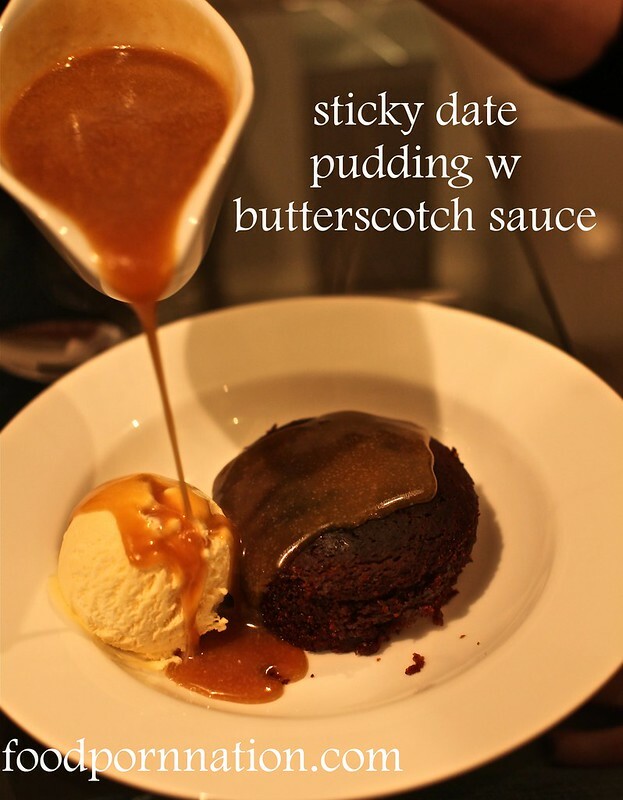 I am going to share with you a ridiculously easy sticky date pudding recipe that I have found and slightly adjusted. I tested it out on some dinner guests and they absolutely raved about it. It is perfect for the winter months and for a stress free dessert when you are having guests pop round. It is that easy! Batter and sauce can be prepared earlier and also be frozen for a later date. So you can still have that fresh baked feel and your guests will be none the wiser. 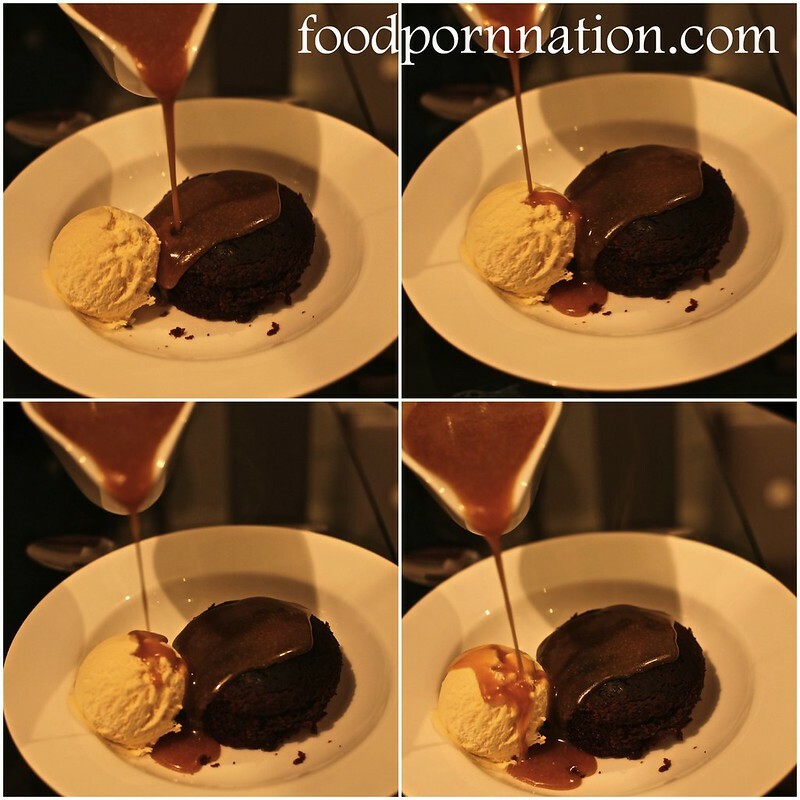 The result is a deliciously moist pudding with a gloriously hot, sticky and buttery sauce. Go on and give it a whirl! Second stop. Dinner by Heston. Dinner was the most highly anticipated restaurant opening in 2011, receiving about 6,000 calls a day for restaurant reservations alone. eBay saw restaurant bookings auctioned off at the £50 mark. It even pipped its very own mothership, The Fat Duck (#13) and entered the San Pellingrino World’s 50 Best Restaurants 2012 coming in at 9th place. The inspiration behind Dinner takes us back to Heston’s TV series, Heston’s feasts – (watch online) where he took a step back in time to resuscitate the long lost archives of British gastronomy. Each menu on the item references the period in British history as well as, the cookbook where it draws its inspiration from. Here you have the meat fruit (c.1500) which was commonplace during the Tudor dynasty. It is quite the mutli-sensory experience and a true testament to Heston’s indisputable genius. 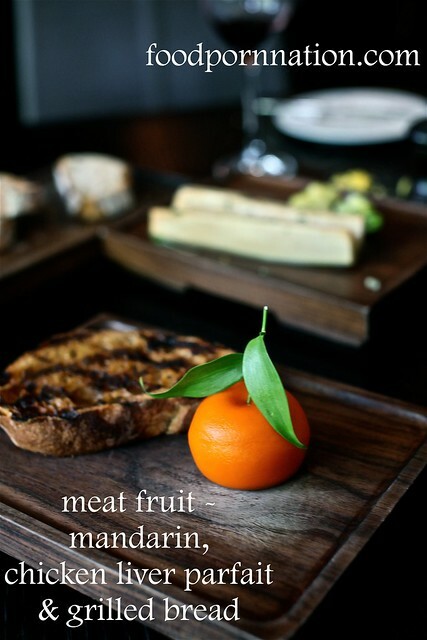 It is a chicken liver parfait in the guise of a mandarin fruit and it is made with a mandarin glucose jelly to reach its carbon copy exterior. The appearance is flawless, texture is velvety and the taste? Absolutely mind blowing. You can watch how he makes it here. The roast marrowbone (c.1720) again, is visually deceiving. 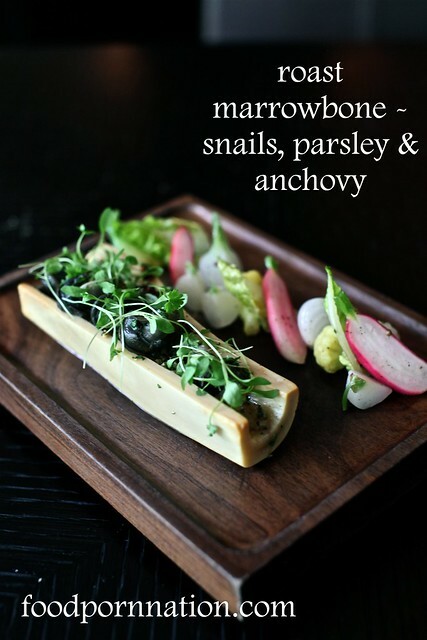 Whilst served to resemble that of a marrowbone, you need to scoop out to reveal the wonderfully buttery little snails lurking on the inside. Surprisingly the anchovy lifts the butter and elevates the whole escargot experience. The pickled vegetables were not nearly as exciting but visually complemented the dish well. 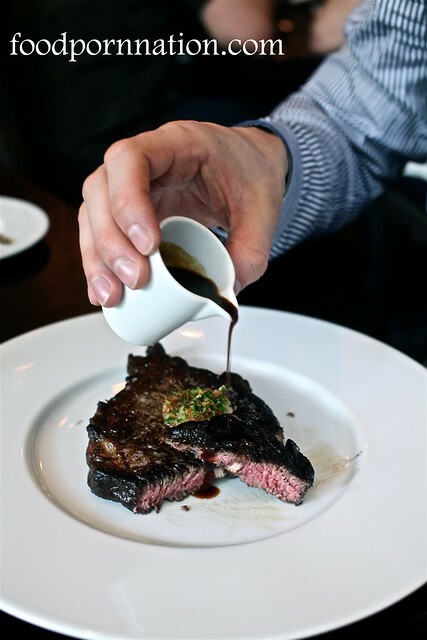 Like all meat served at Dinner, the Fillet of Aberdeen Angus (c.1830) was prepared sous vide and finished off in the purpose built hearth to give it its smokey and charred coat. With a perfectly pink centre, the beef was juicy and tender. 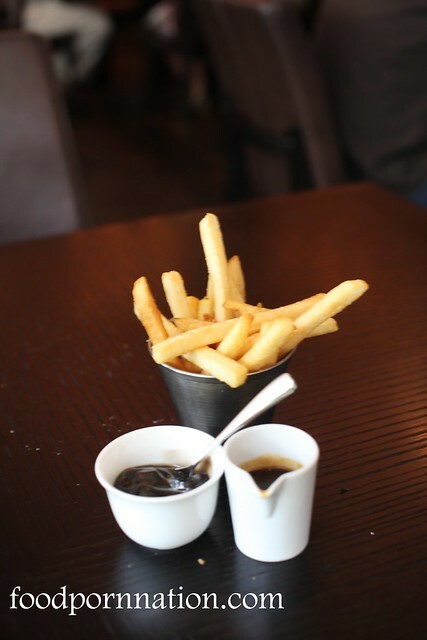 It was served with a jus and mushroom ketchup and traditionally this is also served with a side of triple cooked chips. However, I was disappointed to learn that they were not serving the triple cooked chips due to not having the particular potatoes in season. This is particularly heart breaking knowing how far we’ve come and with the knowledge of how arduous it is to even make triple cooked chips! 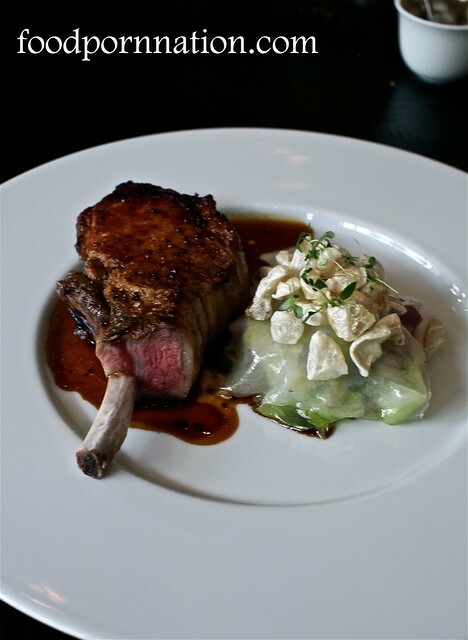 The Black Foot Pork Chop (c.1860) was served with a pink centre and was another excellent main. 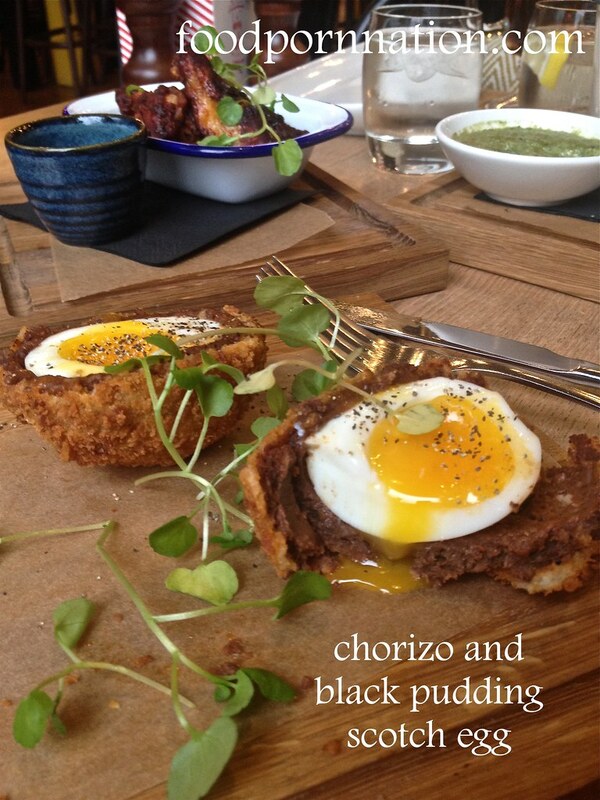 This is served with cabbage, tender ham hock pieces, puffed pork scratchings and finished with a delicious Robert sauce which is historically served to the likes of Henry IV! 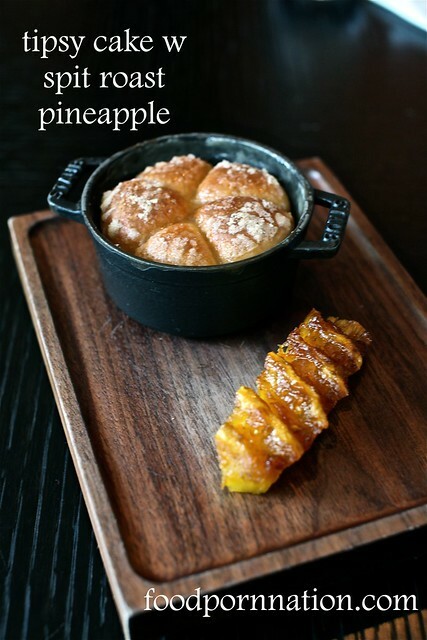 The tipsy cake (c.1810) is the second quintessential item you must have on this menu. The brioche turned cake is drenched in copious amounts of alcohol, butter and cream. (Which is enough to make your heart turn). The glorious goo finds its way around each brioche segment and knows exactly how to disintegrate, melt and implode on you. It just stops you in your tracks and is absolutely heart breaking. The pineapple piece is coated and spit roasted in sugar syrup for 2 hours and while tasty, it’s the brioche that’s the real show stopper.